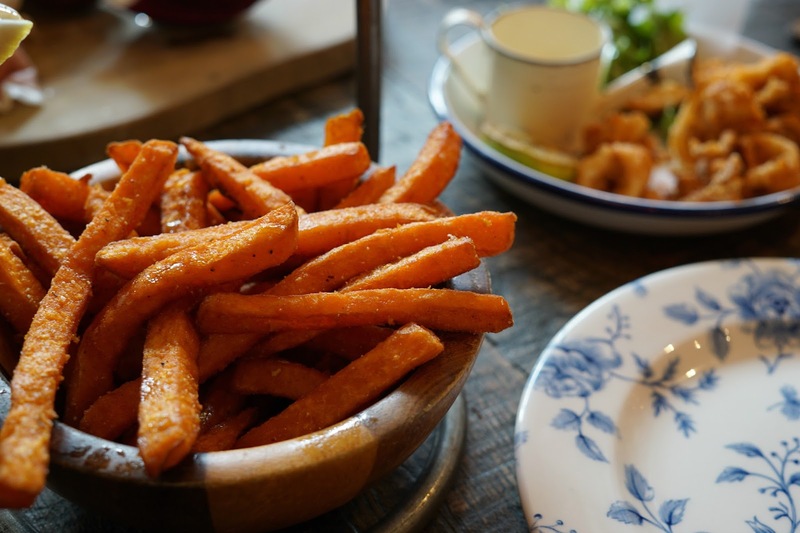 The Botanist, where Cafe Rouge once sat, is fast becoming the hub of Farnham's restaurant-meets-bar scene. Stepping inside for the first time, I was taken aback at the interior - it is a world apart from the previous formal set up, with a gorgeously eclectic vintage feel. It's intricately styled space, with large bench-style tables alongside more intimate set ups for two lining the front windows, is informal and cosy. Up the winding staircase you are met with more dining tables, leading on to Farnham's only rooftop terrace. Overlooking the main passage through town, The Borough, you're given an exclusive view over unsuspecting passers by, and the perfect spot to catch up with friends over a botanical cocktail or three. Talking of cocktails, the drinks menu was our first stop. Boasting eleven different gins (Farnham's Silent Pool taking centre stage) with a variety of tonics and botanical garnishes, this is the first stop for anyone serious about their G&Ts. We quickly settled upon a couple of drinks to start; a raspberry mojito and the cocktail 'special' for Halloween - the rosemary witch. 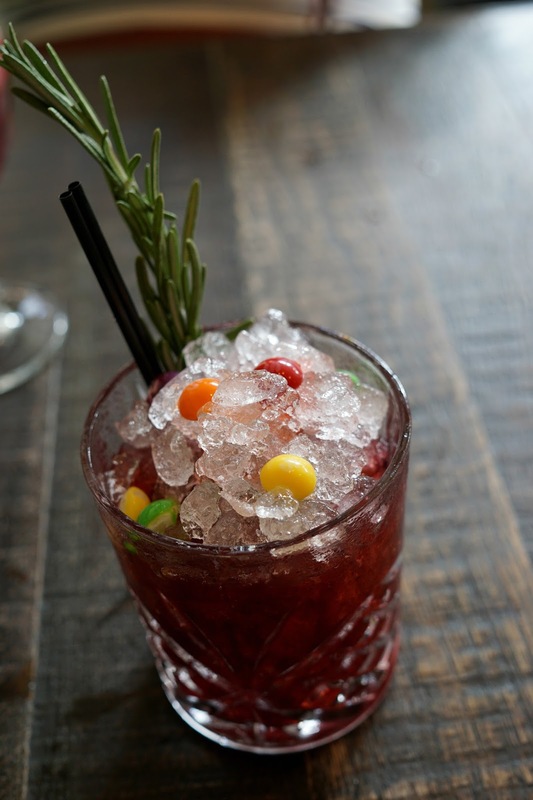 A cocktail boasting both vodka and skittles? I was sold at 'special'. The Smoked Garlic and Rosemary Bloody Mary and the Raspberry and Sage Spritz showcase their use of innovative flavours and pairings - bold choices that just work. As ever, lets talk food. The main event. 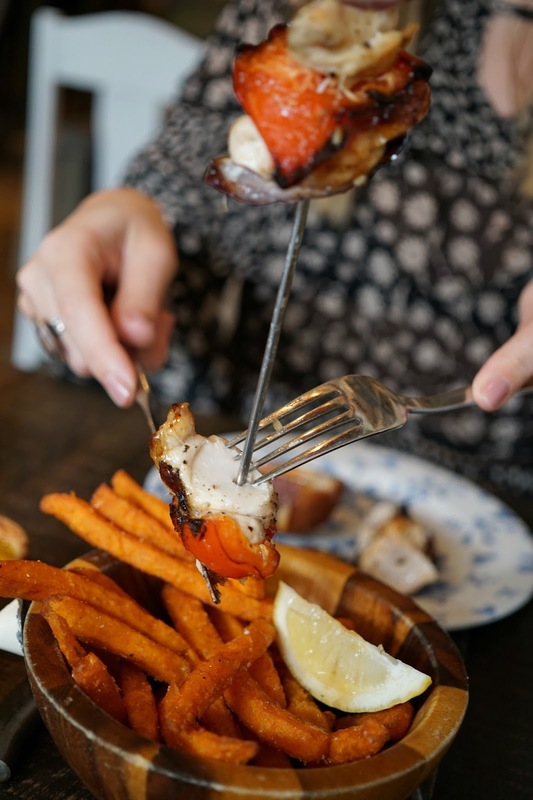 We visited mid-week for lunch, as were thrilled to see they were offering a three course set menu for a complete steal at £13.95. Naturally, we quickly decided upon the full trio, and also opted for a deli board... for good measure. 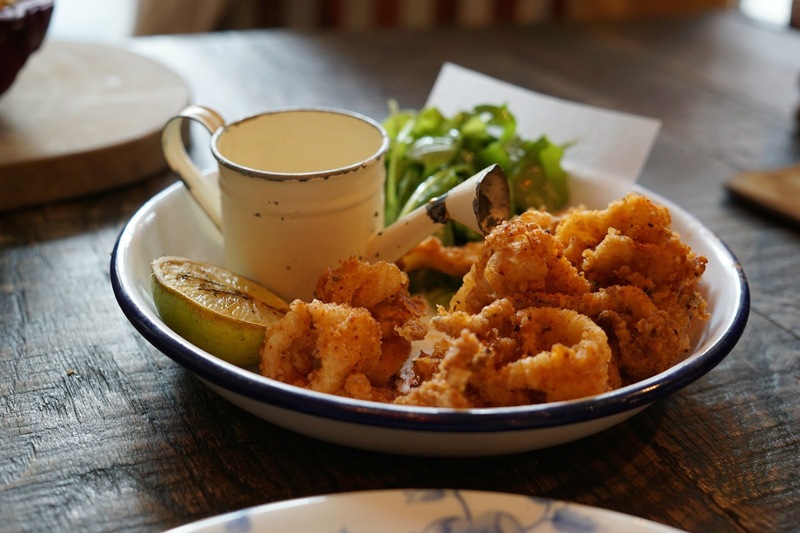 Starting with crispy calamari with piri piri salt and lemon mayo, cooked to perfection and with real flavour, we knew we were in for a treat. 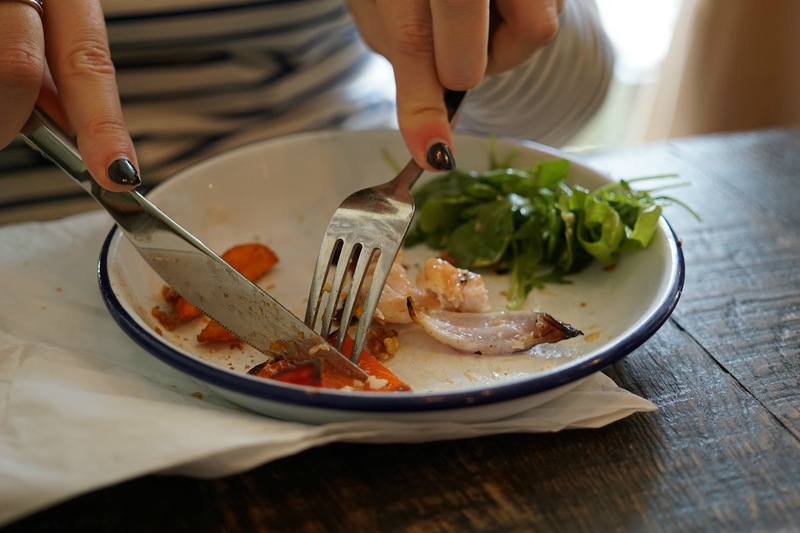 No chewy calamari here! The beautiful presentation really cemented that phrase 'you eat with your eyes' - it was love at first sight. I really am that fickle. 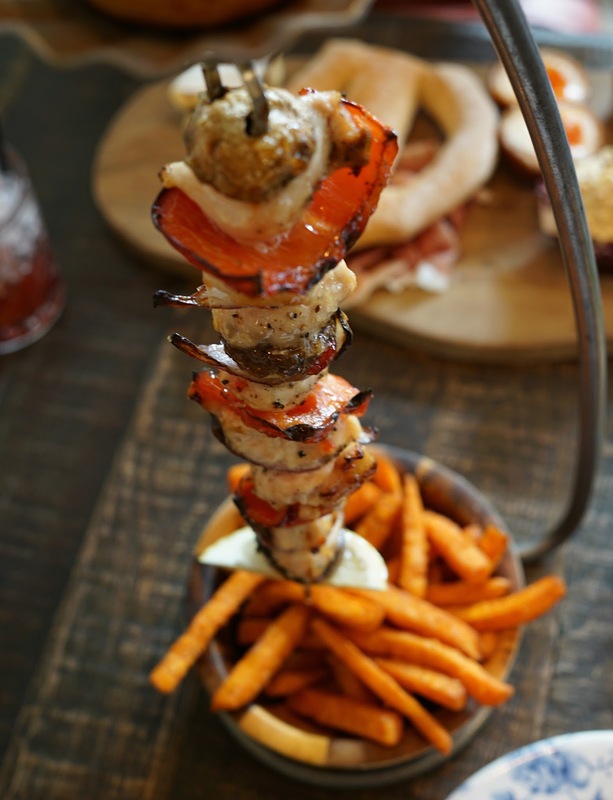 The Botanist's hanging kebabs instantly grabbed my attention; sweet chilli chicken with sweet potato fries, what's not to love? I was worried the hanging kebab would be a bit gimmicky, offering style over substance, but I was happy to be proven wrong. The deli board also delivered, in which we chose four items from a fairly extensive list of meats, fish, cheese and other deliciously nibbly bits. 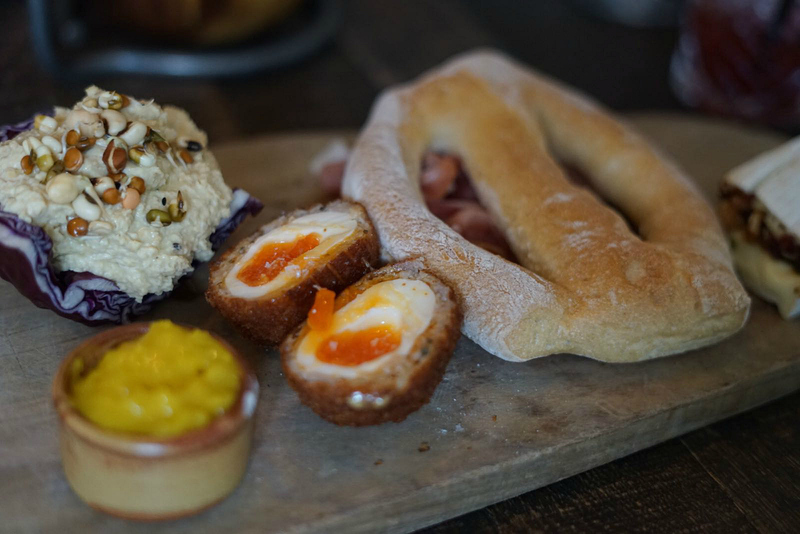 Prosciutto ham, houmous, camembert and the pièce de résistance; a scotch egg with piccalilli. 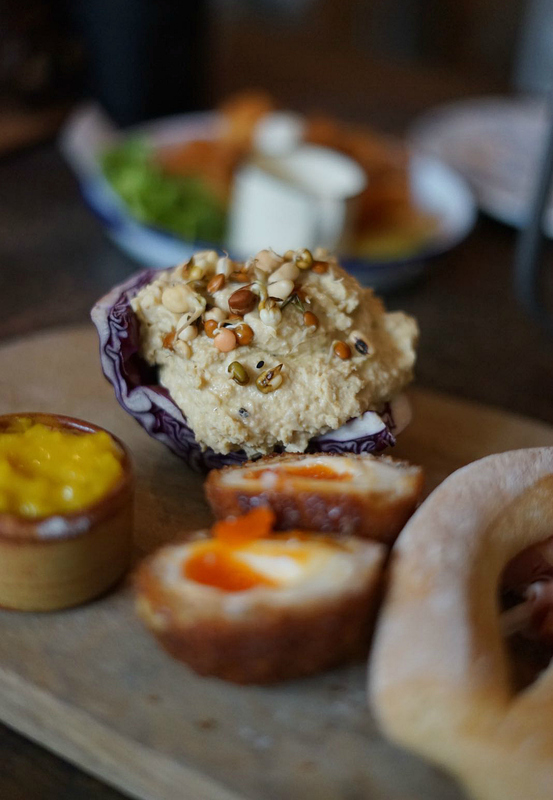 Again, immaculate presentation with the houmous arriving in a cabbage bowl, a giant fougasse (hello, GBBO 2016) and the yolk of the egg being still soft. Absolutely perfect. And what casual, light lunch is complete without pudding? 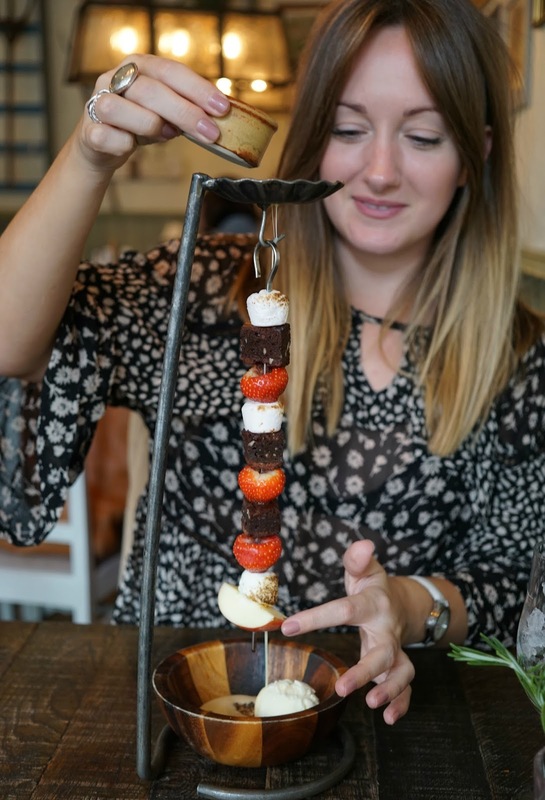 The hanging rocky road kebab, with fresh strawberries, marshmallow and a biscuit sauce was all kinds of delicious. And Kat's face when the option of a white chocolate and peanut butter mouse was revealed... well, you can imagine. 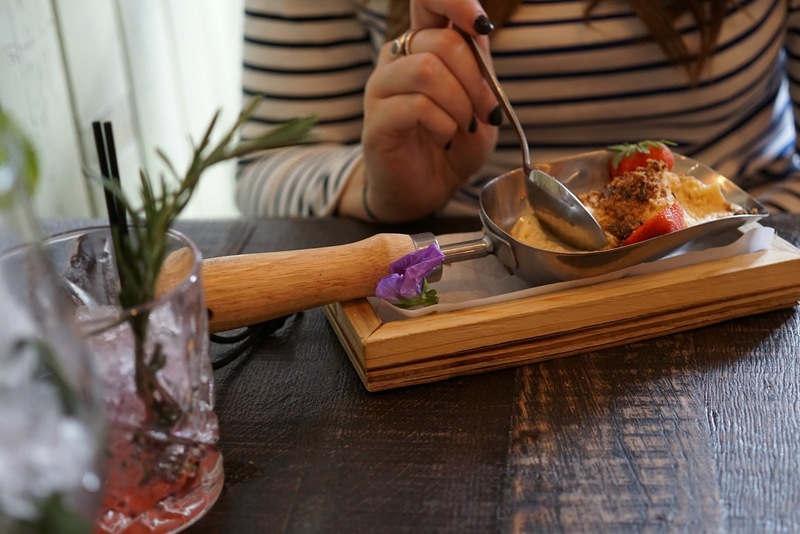 Served in a garden trowel, The Botanist takes presentation seriously. Somehow the botanical theme comes across elegantly rather than clichéd, and without feeling over-done. 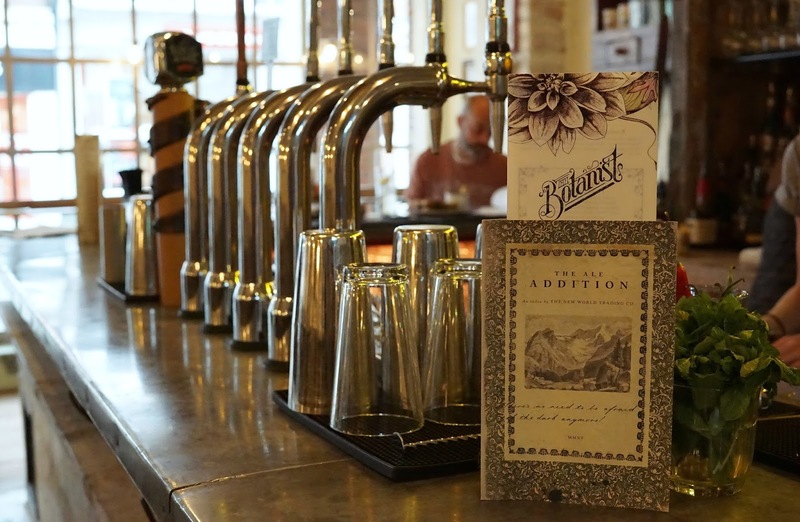 The Botanist may be part of a chain, but it feels one-of-a-kind in this Surrey town. The Borough, Farnham, GU9 7ND. 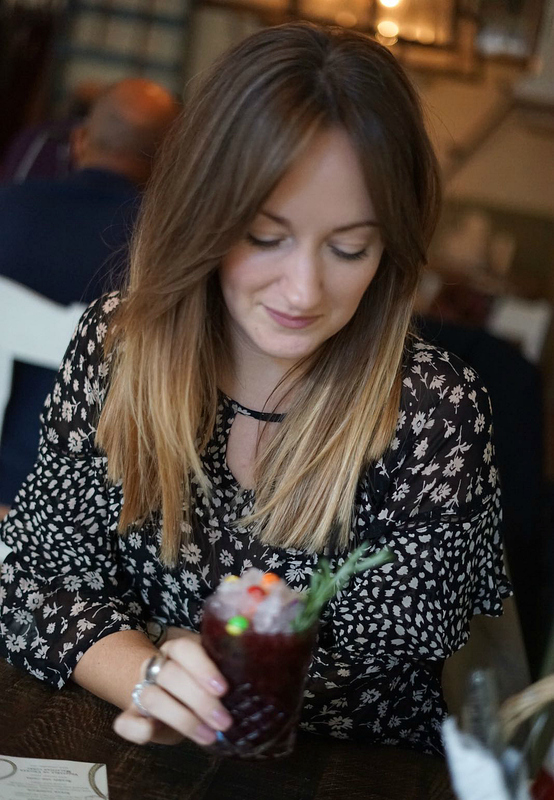 Thank you to The Botanist for welcoming me to review their restaurant. All views my own. Thanks also to Kat for some of her images!